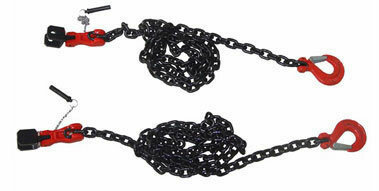 The haulage chain of our company has two haulage chains. Both of them are 3 meters long with the maximum weight of 18.6 kg. On the basis of the maximum weight, the weight would increase 2.2 kg when the chain is lengthened with 1 meter. By working with the rescue equipment such as hydraulic spreader, hydraulic combination A, hand operated combi-tool and battery combination, it has been widely used to carry out the operations of pulling and moving obstacles in rescue for traffic accident, earthquake and other disasters and unexpected accidents. As an experienced haulage chain manufacturer and supplier in China, our company also offers hydraulic combination A, rescue tripod, battery combination, hydraulic breaker, and much more. 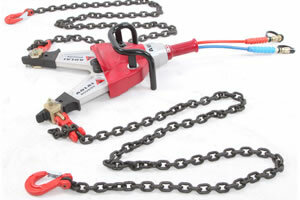 Haulage Chain Application: This haulage chain is used to carry out the spreading operation by working with rescue tools. Length: 3 meters Components: Chains, couplers, lock pins and hooks.